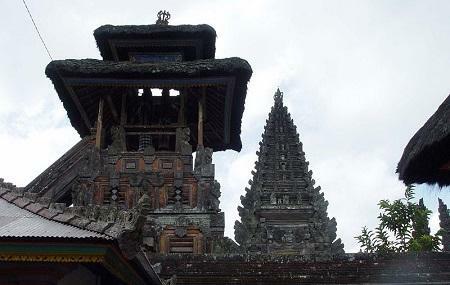 Pura Penataran Agung Batur, which is the main temple with five courtyards. Penataran Pura Jati Batur: linked to the temple at the lake shore. Tirta Bungkah: linked to the temple at the hot springs. Taman Sari and Tirta Mas Mampeh, linked to agriculture. Sampian Wangi, related to various handicrafts. Gunarali, where children pray for achievements and talents. Padang Sila, 45 shrines for the pantheon of deities of the lake temple. Tuluk Biyu, a temple relocated from Mount Abang. Don’t confuse this with Ulun Danu Beratan. How popular is Pura Ulun Danu Batur? People normally club together Mount Batur and Danau Batur while planning their visit to Pura Ulun Danu Batur. One of the biggest temples in Bali. Next to mount Batur. Good recreation spot, remember to wear a sarong. Amd do not enter without a guide. Respect the local culture. The road need to be fix. And the area around to be cleaned with a good parking management. I went there for the first time last week. The place mesmerized me so much. There had been a big ceremony but by the time I went there, the ceremony had been finished. I managed to see the decoration for the ceremony. There was two big statues (i dont know how to say it right), a symbol of Lord Ganesha and a Goddess ( i believe it is Goddess Sri). The statue were made of various kinds of fruits and veggies, as well as spices. I noticed different kind of grains, garlic, bamboo leaves, and many more. Here i attached a photo of my and my friend with the statues at the background. Awful... very touristic and too many people - minimum two-dozen busses and we visited the temple at a very rainy day. There is nearly no spiritual atmosphere left, but therefore a playground, a spongebob figure (and other figures which as nothing to do with Hinduism and the spirituality of a temple) and the possibility of a speedboat ride for 150k. It is also very expensive: 50k for the entrance, 5k for parking (car), 10k for a rented umbrella and 2k for the toilets... There are so many beautiful temple to visit in Bali, but this one is not worth it.